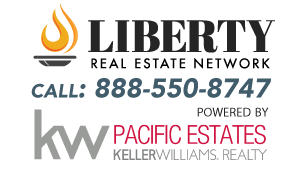 Apartment Management Magazine is proud to partner with the Liberty Real Estate Network to present to you the Investor Headquarters; serving as your Commercial Brokerage & Personalized Real Estate Investment Service! Investor HQ provides you with direct access to our Real Estate Agents, Listings Database, Financing & Exchange Services and more! Since 1958, Apartment Management Magazine has provided California Apartment Owners access to reliable Real Estate Services. Now, through our Investor Headquarters, Apartment Owners have access to listing and selling their apartment buildings with our experienced and trustworthy Brokers & Agents. Before buying or selling your next property, consult with one of our experienced Agents to maximize the value of your investment!